Nuts come with their own biochemical preservatives (phytic acid and enzyme inhibitors) to keep them from spoiling until conditions are right for them to sprout. You can rid them of most of these mildly harmful chemicals by soaking them for 24 hours or so in slightly salt water. Many people find that soaking nuts also also makes them easier to digest. 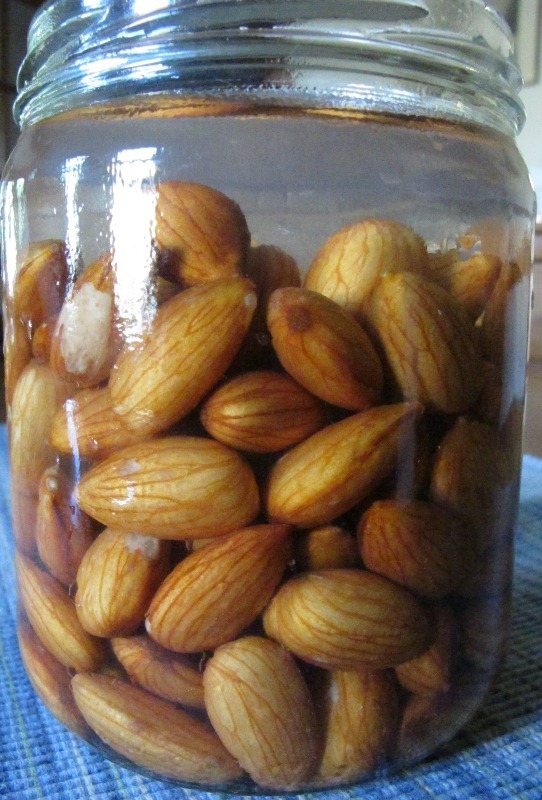 I keep a cup of almonds in a jar of water in the fridge, from which I scoop a handful or so every day as a healthy snack. When the water turns cloudy, pour it out and replace with fresh. For storage longer than a week or so, dry the nuts in a dehydrator or warm oven until no longer moist. Fresh lemons, limes, and oranges are full of nutrients, but you’re throwing away some important ones if you toss away the outer rinds and the white pith between rind and flesh. 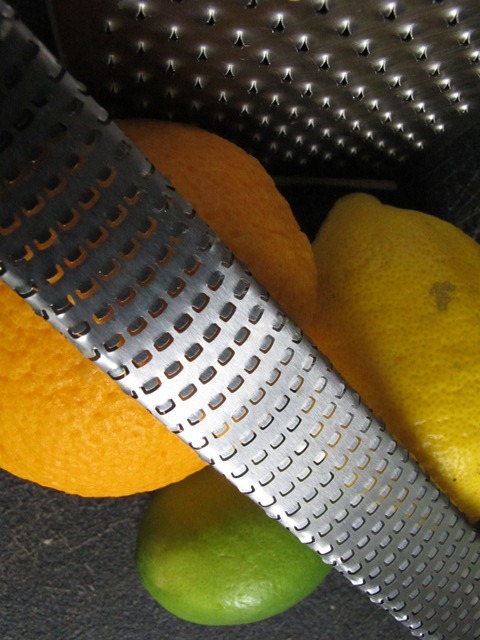 Wash the rinds (even if organic) with diluted vinegar or a fruit & vegetable soap, then use a microplane or box grater to grate off as much of the zest as you can and store it in a small container in the fridge or freezer. Use the zest to add flavor & nutrition to many dishes. Shred the pith and store it in another container; add it to smoothies, soups, or other dishes, for added fiber and phytosterols. Taste before adding rinds or pith, though, because some can be on the bitter side. And because rinds are high in oxalates, they are best avoided if you have gallstones, kidney stones, or concerns about calcium absorption. When you buy or pick fresh herbs (parsley, cilantro, mint, scallions, etc. 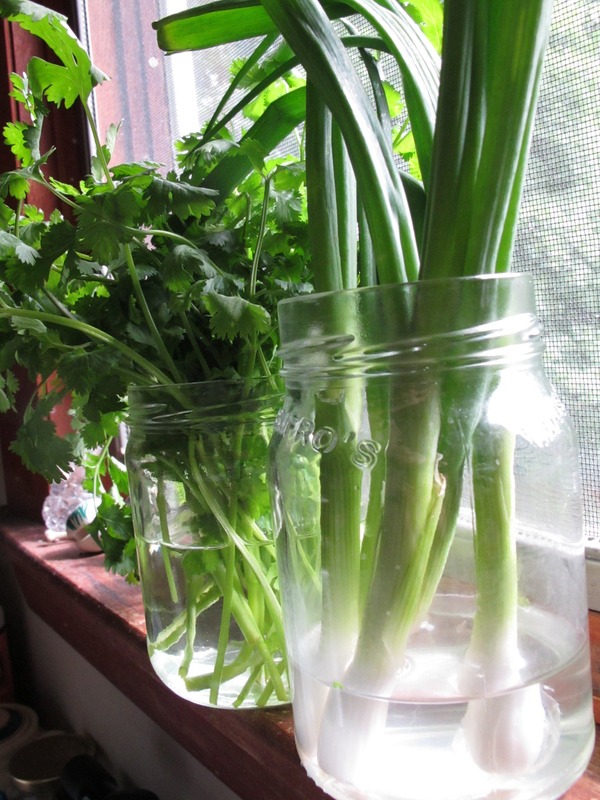 ), put them in a jar of water on the kitchen windowsill. This way, they’ll stay fresh longer (and keep producing chlorophyll in the sunlight) than if tucked away in the crisper drawer, where you’re likely to forget about them until you pull out a sodden bag of decomposing stems a few weeks hence. You’ll also be more likely to pluck a few stems to chop up and add to salads or soups or smoothies, or just pop in your mouth as a mini-snack as you’re cooking or washing the dishes.